God in his infinite wisdom, mercy and grace peacefully closed the eyes of beloved wife, mother and grandmother. Leaves to cherish her memory, her devoted husband Robert, her beloved, children, Christopher, Terrence (Kim), Heather (Dennis) Hagerty, Conor (Amy), Shannon (Jack) Boyle. Mom Mom to eleven grandchildren and is also survived by her sister, Alice Dunsmore. Born in 1939 in Philadelphia, Pennsylvania to James and Alice Brophy, Barbara attended St. Edwards Grammar School followed by Little Flower High School and St. Joseph's University. Barbara went on to become a teacher at St. Martin of Tours. In 1966 Barbara married Robert Smith, beginning a beautiful partnership that would last 53 years. With five children soon to follow, Barbara's vocation became providing a loving household. Barbara had an unwavering faith in God. A member of St. Cecilia and St. Genevieve parish, one of her proudest moments was becoming a Eucharist Minister at St. Cecilia's and was honored to have the privilege of distributing the eucharist. Barbara also enjoyed the work she did and dear friends made at the Medical Mission Sisters and Good Shepard Convents. 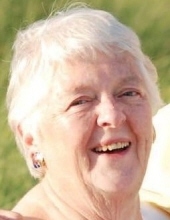 Barbara was loved by all for her warmth, kindness, sincerity and delightful sense of humor. Barbara's most cherished moments were spent with her family and friends. Family and friends are invited to her viewing Monday, April 15th from 6-8 PM at the Joseph J. McGoldrick Funeral Home 507 West Ave. Jenkintown, PA. Another viewing will be held Tuesday, April 16th from 9-10:20 AM followed by a funeral mass at 10:30 AM both at St. Genevieve Church 1225 Bethlehem Pike, Flourtown, PA. Her interment will be held at Holy Sepulchre Cemetery. To send flowers or a remembrance gift to the family of Barbara Ann Smith, please visit our Tribute Store. "Email Address" would like to share the life celebration of Barbara Ann Smith. Click on the "link" to go to share a favorite memory or leave a condolence message for the family.